A great video loop of guitarists that are masked out, so you can fill it with your own colors or visual. Rock on! A visually amazing video loop sparking your imagination, a beautiful piece of footage for your library. 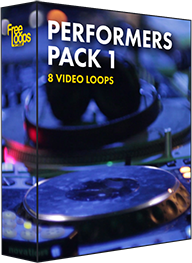 This video loop is part of Performers Pack 1.